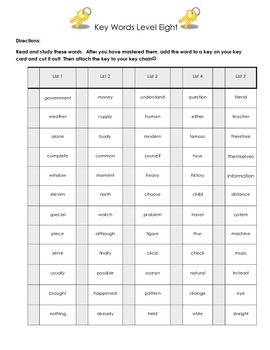 Using this packet, your students can work on their own level at their own pace while building and maintaining a vast sight word vocabulary. 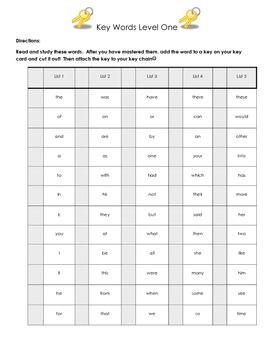 The packet includes 600 leveled sight words in 10 easy to use lists, teacher directions, and a page of keys! My students highlight six words at a time to study. 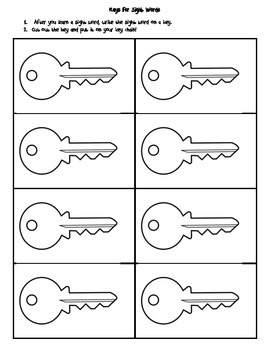 After they have mastered those six words, they add each word to a key and attach to their key chain! 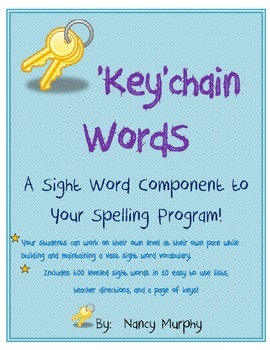 They use their key chain to help keep reading skills sharp and to help with writing. My students love to build their key chains and boast how many words they have mastered! !